MoMA PS1 announces a major component of EXPO 1: New York, entitled Rain Room (2012), which will be presented at The Museum of Modern Art, from May 12 through July 28, 2013. 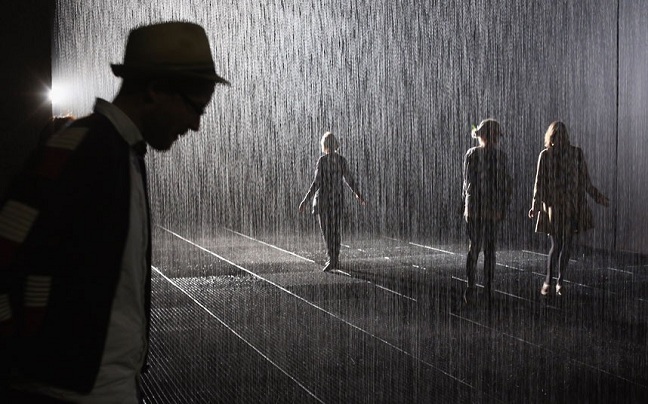 A large-scale environment by Random International, Rain Room is a field of falling water that pauses wherever a human body is detected – offering visitors the experience of controlling the rain. The presentation of Rain Room at The Museum of Modern Art is part of EXPO 1: New York, a large-scale festival exploring ecological challenges. Rain Room is on view at The Museum of Modern Art, courtesy of RH, Restoration Hardware. EXPO 1: New York is made possible by a partnership with Volkswagen of America. Known for their distinctive approach to digital-based contemporary practice, Random International’s experimental projects come alive through audience interaction and Rain Room is their largest and most ambitious to-date. The work invites visitors to explore the roles that science, technology, and human ingenuity can play in stabilizing our environment. 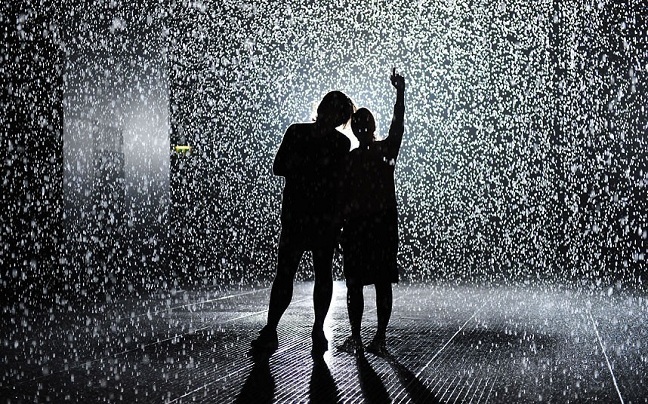 Using digital technology, Rain Room is a carefully choreographed downpour – a monumental work that encourages people to become performers on an unexpected stage, while creating an intimate atmosphere of contemplation. 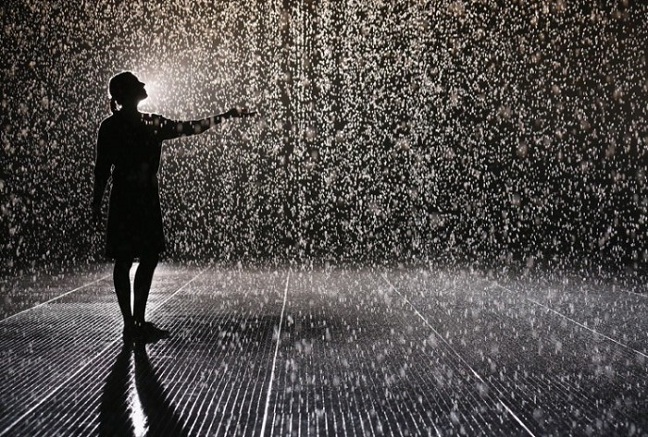 The presentation of Rain Room at The Museum of Modern Art is the US premiere of the monumental installation, and follows its debut at Barbican Centre in London (October 2012 – March 2013).